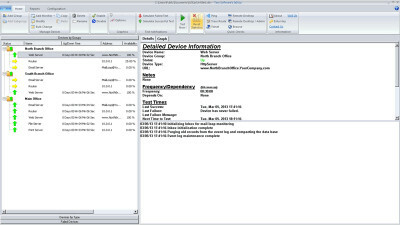 IsItUp Network Monitor 6.12 is network monitoring software developed by Taro Software Inc..
IsItUp Network Monitor is a server monitor, website monitor, port, and email system monitor. 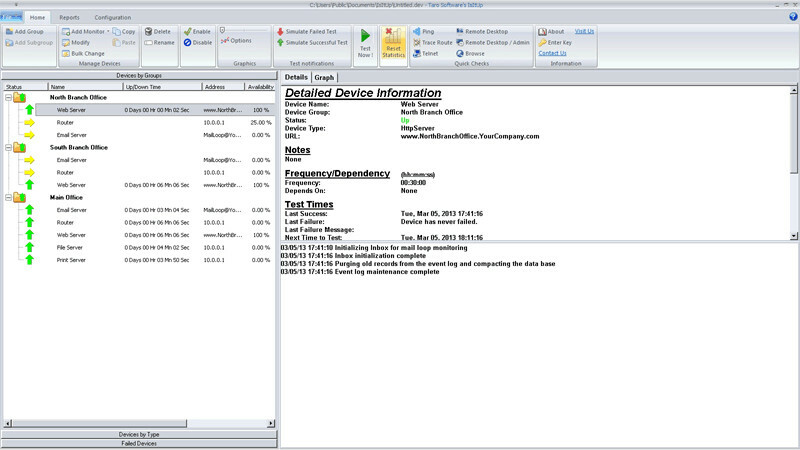 It continuously monitors multiple IP devices, websites, servers & alerts you via email or pager; graphs. Website content check; runs as a service; maintains performance statistics for each device it monitors - up time, maximum response time, minimum response time, standard deviation & error log. IsItUp tracks the last successful and last Traceroute. This network & internet software is shareware, which means you can download and use IsItUp Network Monitor 6.12 for free during the trial period (usually for 30 days). At the expiration of the period you will have to buy the network monitoring product for $19.95. IsItUp Network Monitor 6.12 is available at regnow and Taro Software Inc. website. IsItUp Network Monitor 6.12 supports English interface languages and works with Windows XP/Vista. Latest IsItUp Network Monitor 6.12 does not contain any spyware and/or advertise modules, allowing installing it with no worries concerning valuable information loss. Our website has thoroughly tested network & internet product IsItUp Network Monitor 6.12, written the review and uploaded installation file (5030K) to our fast server. Downloading IsItUp Network Monitor 6.12 will take minute if you use fast ADSL connection.